Indian Prime Minister Narendra Modi called himself Chowkidar during his Delhi campaign recently. He even has been campaigning with the same phrase across social media and other platforms. Andhra Pradesh Chief Minister Chandra Babu Naidu participated in a massive election campaign in Visakhapatnam along with Delhi Chief Minister Arvind Kejriwal and West Bengal CM Mamata Banerjee. 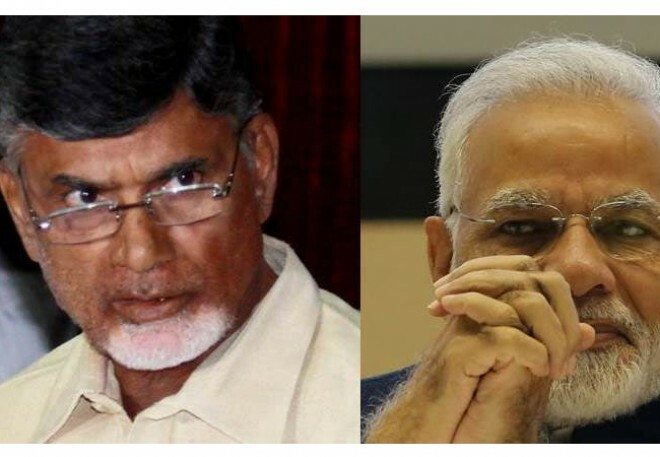 Chandra Babu during his speech called Narendra Modi the Chowkidar of Criminals and called him the most corrupted Prime Minister. Babu alleged that he is protecting scamsters and during the speech, Babu explained how Modi ignored special status for Andhra Pradesh. "It was five years ago and Modi promised special status in Vizag. He betrayed Andhra Pradesh and he is jealous of us. Modi is worried that Vizag will be more beautiful than Ahmedabad and is causing hurdles for AP" said Babu.